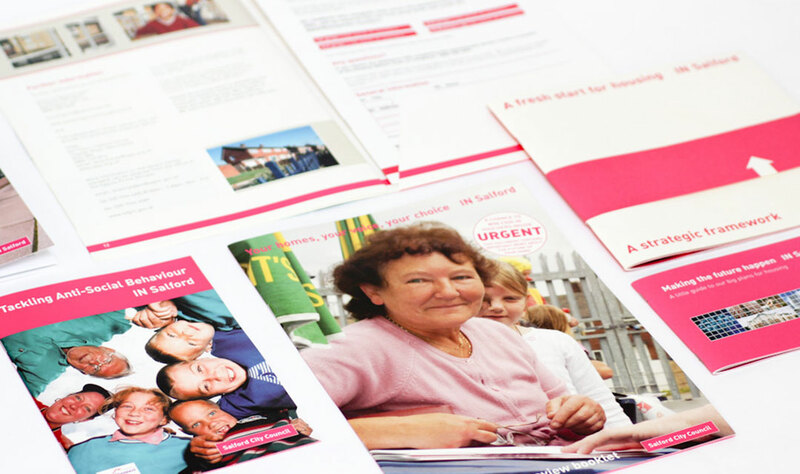 Salford City Council approached us to create a range of printed items for their housing consultation project. 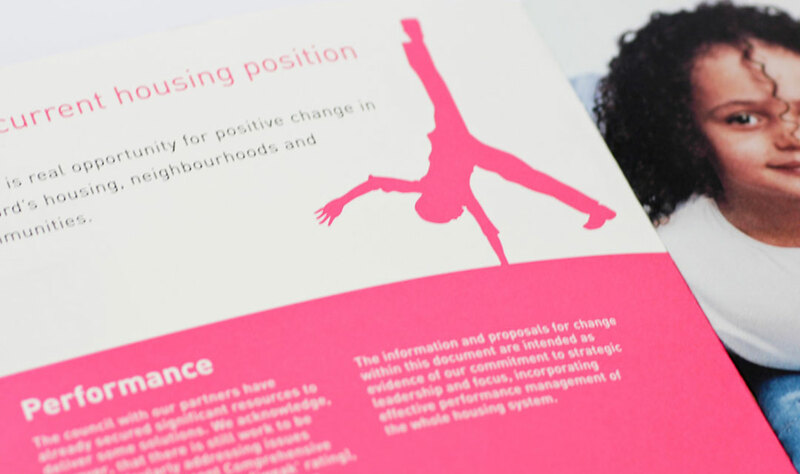 Their aim was to engage local residents, enable them to understand the housing issues that their community was facing and encourage them to support the council’s strategy. 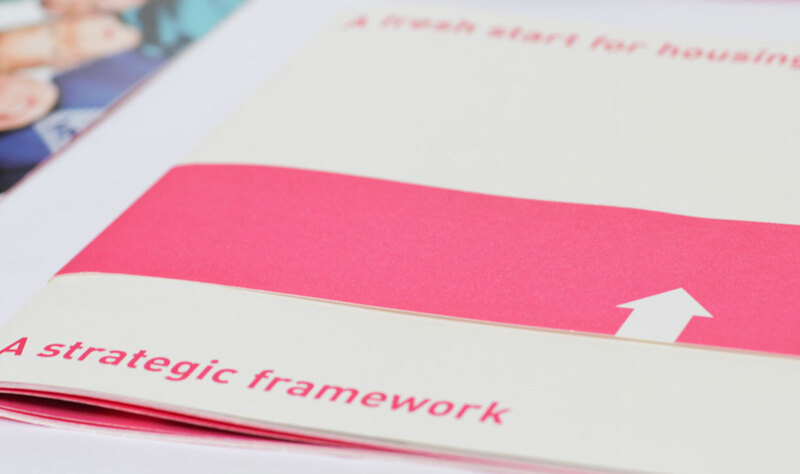 Working with their Marketing and Communications team we clarified the City Council’s communication aims and, following a research phase, wrote and designed a range of information brochures, consultation documents and feedback forms. 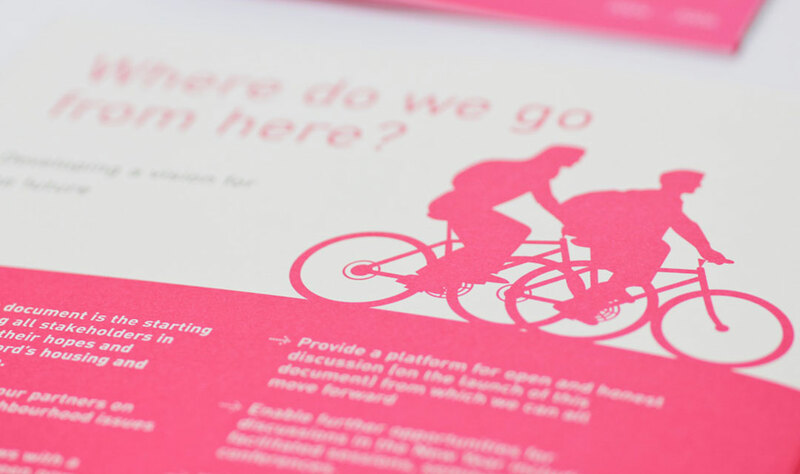 These were delivered to every single resident in the five Salford regions during the consultation period, enabling the community to have an informed voice in the process of developing their locality.